After season 2 of True Detective well and truly flopped, I was ready to throw in the towel and not bother with any other instalments, but then they announced Mahershala Ali as the lead and that changed everything, so I had to give it a go. And I’m glad I did. Indignation is a small film that won’t set the box office alight or have mainstream appeal but if you’re a fan of Logan Lerman or Sarah Gadon you should definitely check it out because they showcase their best performances here by a mile. They are so good, the material is meaty and substantial and there’s fantastic dialogue for the audience to sink their teeth into. 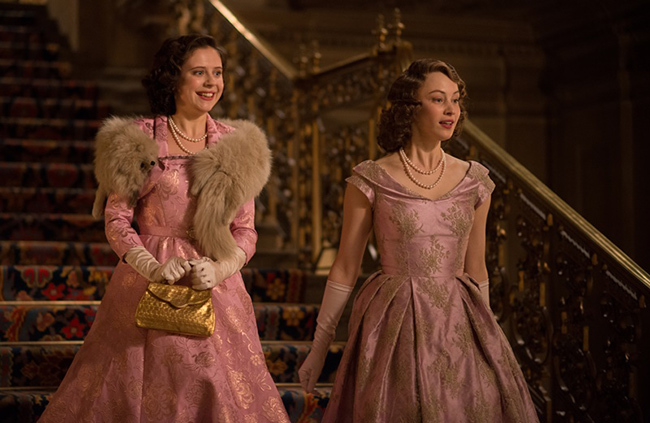 A Royal Night Out is essentially what could have happened when Princesses Elizabeth (Sarah Gadon) and Margaret (Bel Powley) go for their first ever night out in London to celebrate VE Day. It isn’t totally truthful – the royals DID go out to mark the end of World War II, but it was a much quieter affair – which wouldn’t have made for such a fun film.